Tags: Adrien Broner, boxing, Manny Pacquiao, WBA. Manny Pacquiao has successfully defended his WBA welterweight title on Saturday, January 19, defeating Adrien Broner via unanimous decision at the MGM Grand, Las Vegas. The 40-year-old Pacquiao earned the 61st victory of his amazing career with a display of dominance, showing glimpses of speed seen in his younger days as he outboxed a challenger who mainly spent most of his time on the ring fighting defensively and was limited to throw only counter punches. Two of the judges favored Pacquiao's performance by a 116-112 score, whereas the third one scored 117-111. The win was by unanimous decision. There were no knockdowns made, but Pacquiao managed to land very heavy punches, and several of them. 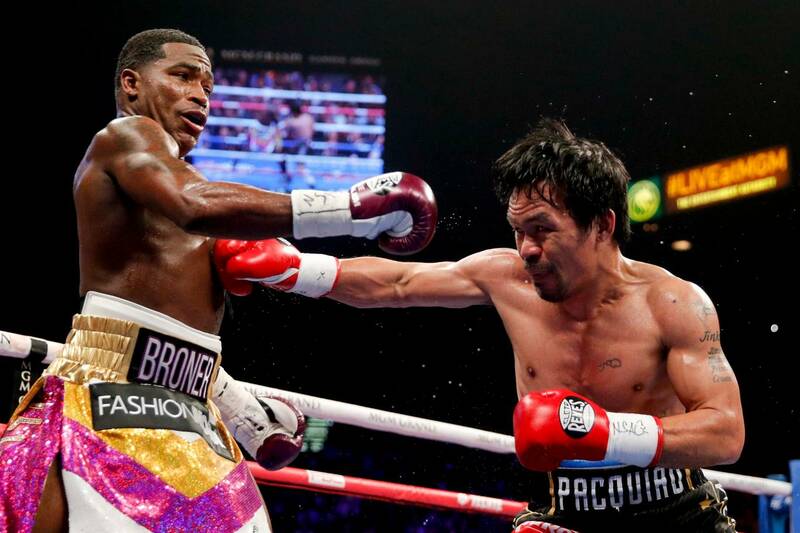 In the span of 12 rounds, Pacquiao landed 77 body blows against Broner's meek three. He got Broner in the 7th and 9th rounds with big left hands that pushed him backward, all the while the challenger tried to look for a counter chance that never came. 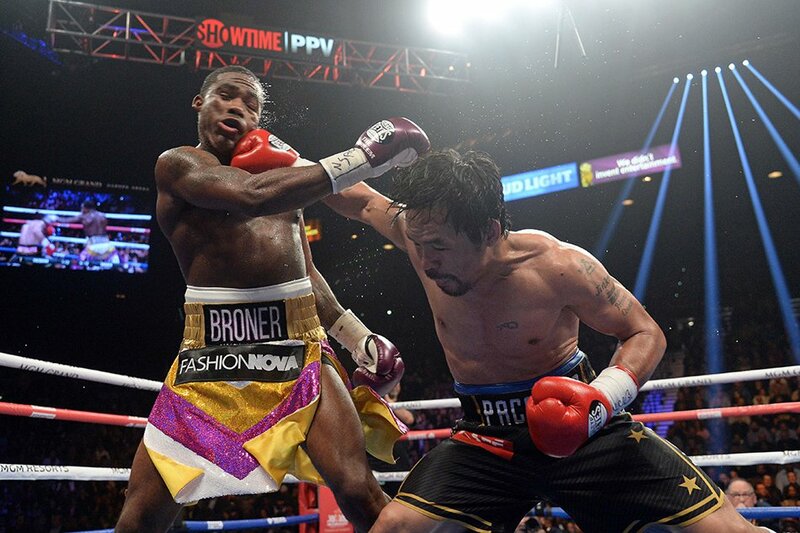 Overall, Manny Pacquiao threw 112 connecting punches to Broner's 50. From the ringside, Floyd Mayweather watched. He beat Pacquaio by unanimous decision when they faced each other in 2015. A year later after hanging up his gloves, the Filipino boxer came back to the ring and was set on a rematch. Pacquiao slammed a challenge to Mayweather after he won against Broner, "My message is I'm still active, and if [Mayweather] goes back to the ring and wants to challenge me, I'm a champion. Get back to the ring and we will fight again if he wants. If he wants to come out of retirement, then announce it and challenge me. I'm a champion and I don't pick any opponent. I'm just waiting to see who will challenge me, who will challenge for my belt." 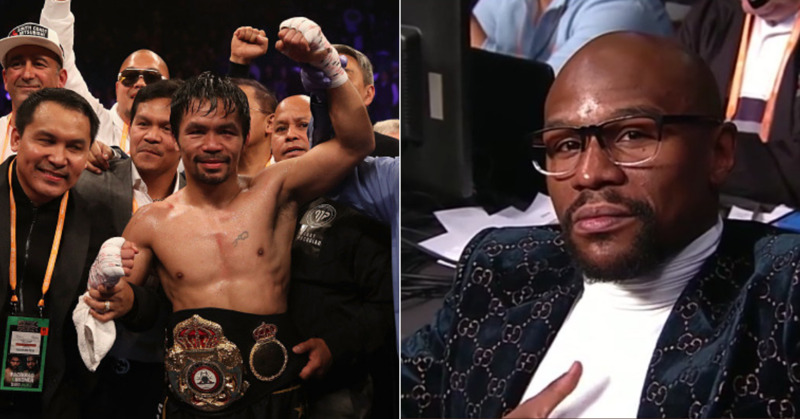 The possibility of a Pacquiao vs Mayweather II fight was shot down by CEO of Mayweather Promotions Leonard Ellerbe, "He's (Mayweather) retired, he has no interest in doing that. It's not always about the money, believe it or not. (Floyd) doesn't have the motivation, the desire, he's living his best life, traveling, running his multiple businesses, spending his hard-earned earnings. He'll be 42 come Feb. 24 and enough is enough. What good does it do you to earn all that money when you can't stick around and spend it? He's had a phenomenal career, he broke all the records, he has nothing else to prove, I'm very happy for him." As the bell rang to signify the fight has ended, "The Problem" celebrated as if he believed he had won, bringing about a negative reaction from most of the boxing fans who attended. Broner said to the media after the fight, "My performance tonight talked for me, they thought I was going to come in here and be in the mud and they were just going to f--- me up and I gave them what they weren't looking for. If you ask me -- I thought I won the fight. I'm not about to sit here with a sad face, I'm alright, I will be back and be champion again ... At the end of the day I'm still 'AB', I'm the same person." This unanimous decision win against Broner now makes it Pacquiao's 24th world title fight victory, his 70th pro boxing contest and his first fight win as a 40-year-old, thereby making him the oldest world champion in boxing history to date. He said, "I really don't believe my career is over and I proved it in my last fight against (Lucas) Matthysse and I proved it again at the age of 40. Manny Pacquiao's journey will continue." 8 comments for "Manny Pacquiao wins against Adrien Broner to retain WBA World Title"